Spoiler Alert: I have finished Season 2. YEY! So happy Mr. Gold turned Lacey back into Belle. That was so CUTE! They were makin' out! I don't think I've ever seen Mr. Gold kiss anyone before! Hubby: Wasn't she more attractive in LOST? Me: Wasn't he more attractive in...everything else he's ever been in? This show is getting out of control. So now we have three worlds. 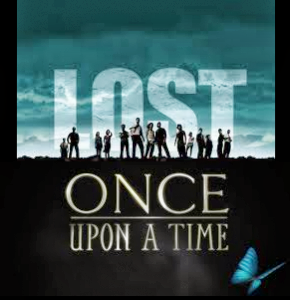 1) Storybrook...2) The Old World (whatever the heck it's called) and 3) Neverland. Lordddddddddd I hope we don't run into Michael Jackson there. "Shadow" or not. The Lost Boys (how appropriate) are mean, too. I don't mind changing fairytales...but sheesh, people. It's Neverland and Peter Pan. Come on, now! 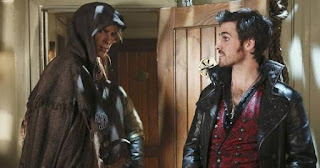 Maybe Peter Pan will show up next season and save the day. THAT would be cool. I have to admit that I'm underwhelmed at the Henry-stuck-in-Neverland story for next season. Whatevs. He'll end up having a grand old time and inviting people back to Storybrook for some of Regina's apple turnovers. WHAT is with separating Gold and Belle?? Is there no one else in that town who can watch the store (which, apparently, from the looks of last night's sign shot, is a PAWN SHOP with a few antiques thrown in. Hmmm). You mean they can't go grab one of the dwarfs or Red and say "Ummm...yeah...follow these directions, Chumley...we'll be back in a flash." OK so not back until the fall. Again - I'm oddly not very bothered by that. 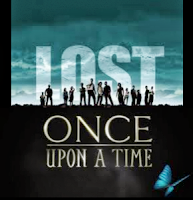 Hoping they're not falling into a writing rut like LOST. And I hope they bring Neil back. He was cool. And I miss Rene so much on True Blood; it was a weekly fix. 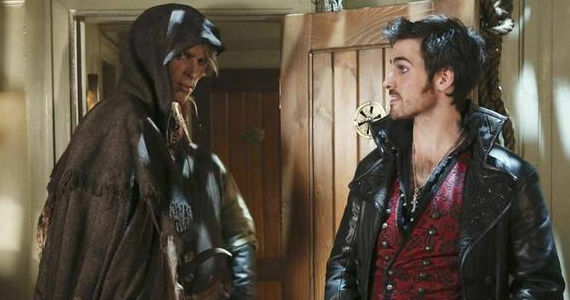 PS - Hook - you are HOT, dude. Keep it up.